Burnley are now eight points above the drop zone. A little over a week ago, Burnley were struggling. A side in free fall after losing four games on the bounce, finding themselves just two points above the bottom three and staring down the barrel of a challenging run-in. Yet a morale-boosting victory over high-flying Wolves combined with Cardiff’s controversial defeat to Chelsea last weekend developed some much needed momentum for the Clarets. Despite the long trip down to the South Coast, you felt they had a chance of picking up all three points against a Bournemouth side notorious for dropping off the pace at the latter end of the season, winning one of their last eight this time around. For all of the Cherries’ good football, they are susceptible to being bullied out of the contest by more physical sides...and that is exactly what Burnley did to ensure any sort of positive result against Cardiff next weekend will all but guarantee their safety. Burnley benefited from an early Conor Coady goal last weekend but it was role reversal at the start of this contest. Under pressure, Ashley Barnes nodded into his own net with Nathan Ake breathing down his neck from a Bournemouth free-kick...perhaps the one and only time that Burnley were put off their stride in the air during this fixture. But when Ashley Westwood play well, the entire Burnley squad often perform and the central midfielder played a critical role in two quick goals for the visitors to turn the tide in a matter of seconds. It was Westwood’s looping corner that was misjudged by Asmir Begovic and easily nodded home by Chris Wood who had peeled away from Callum Wilson. 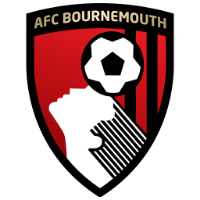 Begovic and Artur Boruc have spent much of the campaign squabbling over the number one Bournemouth spot but neither goalkeeper would have been able to keep out Burnley’s second - although it should have been prevented through more composed defending. A weak low cross from Dwight McNeil should have been easily cleared by Chris Mepham but he could only stroke the ball straight to Westwood who slotted the away side in front. At the other end, it was a thankless day for Wilson, seemingly losing his way since making his England debut a couple of months ago. The striker was granted a golden opportunity to equalise but he could only head David Brooks’ clipped cross over the crossbar before the break. 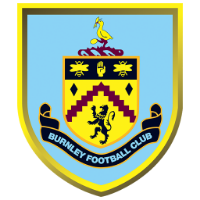 Yet Burnley were not prepared to sit back on their lead and set about putting the game to bed in the second half. Barnes went close to making up for the earlier own goal as his volley drifted just wide off the hand of Ake. Then came the killer moment, another avoidable goal from Bournemouth’s point of view. Everyone stopped to claim Charlie Taylor had run the ball out of play - everyone but the Burnley left-back who continued to soldier forward. His cross was spilled by Begovic, allowing Wood to lay the ball to Barnes who fired home a third. The first Burnley player to score at either end in a Premier League fixture. Wilson volleyed over late on as a frustrating day for Bournemouth came to a close. 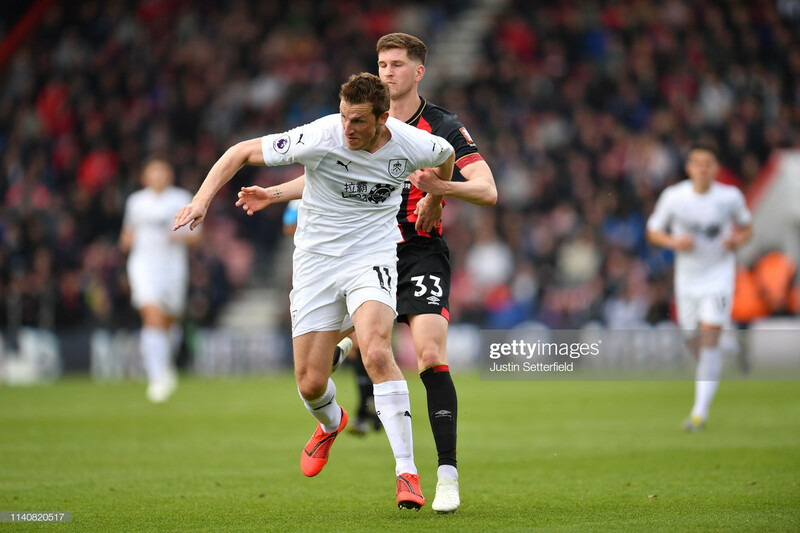 The Cherries will be safe from relegation but Eddie Howe must be concerned about a defence that has now shipped over 60 goals in four successive seasons. As for Burnley, it is almost mission complete in their survival bid.